Amplify Her is working to dismantle the systems of power that keep powerful, qualified women from winning elected office. Our endorsed candidates are brilliant organizers who are working alongside their neighbors to advocate for change. These candidates represent the best of what New York has to offer, and Amplify Her worked hard to get them elected. Click here to check out photos of Amplify Her canvassing across the five boroughs. Tiffany Cabán is a career public defender who is running for Queens District Attorney to bring change to the borough she calls home. Tiffany was born in Richmond Hill, Queens to Puerto Rican parents who grew up in Woodside Houses. Passionate about the relationship between law, policy, and social inequity, she entered law school knowing that she would one day become a public defender. In four years at New York County Defender Services (NYCDS) and three years at the Legal Aid Society’s Criminal Defense Practice, Tiffany has represented over a thousand indigent clients in cases ranging from turnstile jumping to homicide. Throughout her professional career, she has used the law to help New York City’s most vulnerable communities, and her experiences advocating on behalf of her clients have helped her identify some of the worst inequities of our criminal justice system. Alessandra was born in Mount Vernon, NY. She is a graduate of Pelham Memorial High School, New York University, and Fordham Law School, where she was a member of the Fordham Law Review. Before launching her campaign, she served in Governor Andrew Cuomo’s administration in his Counsel’s Office. During the 2016 presidential election, she was the Deputy National Operations Director for Hillary Clinton’s campaign. Her run for office is preceded by a decade of advocacy, national leadership, and service to the people of New York. 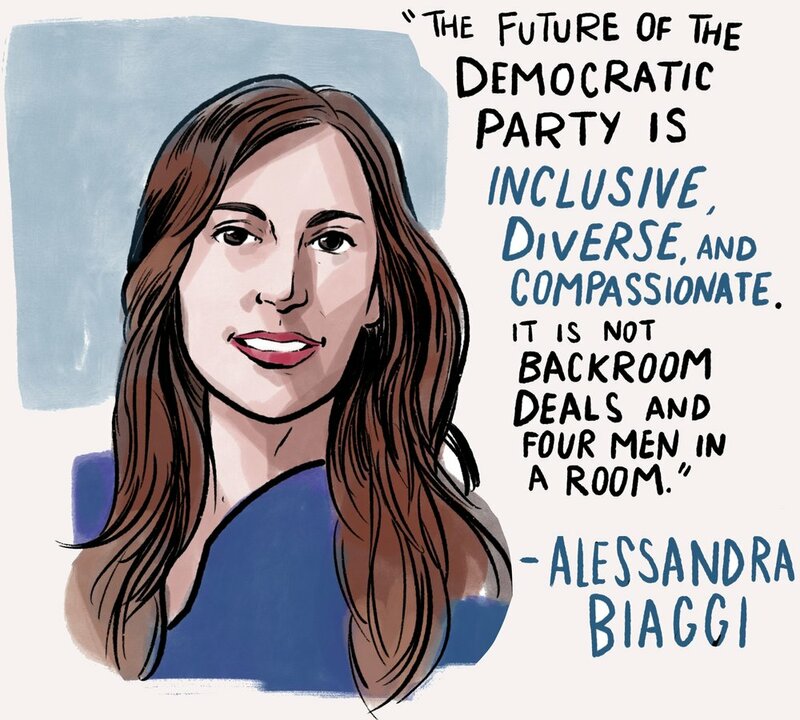 Alessandra is running for State Senate because the people of the Bronx and Westchester deserve better, more diverse, and more compassionate representation than they currently have. Catalina was born in Colombia and came to Queens at the age of 9. She lived for 10 years without documentation. Catalina is the daughter of a single mother and received her BA from John Jay College and her JD from the City University of New York School of Law. She most recently served as the Chief of Staff to former City Council Member and chair of the Committee on Finance, Julissa Ferreras-Copeland. She previously served as the Director of New York State’s Exploited Workers Task Force and also served as counsel in the immigrant affairs at the Department of Labor, where she helped implement IDNYC. 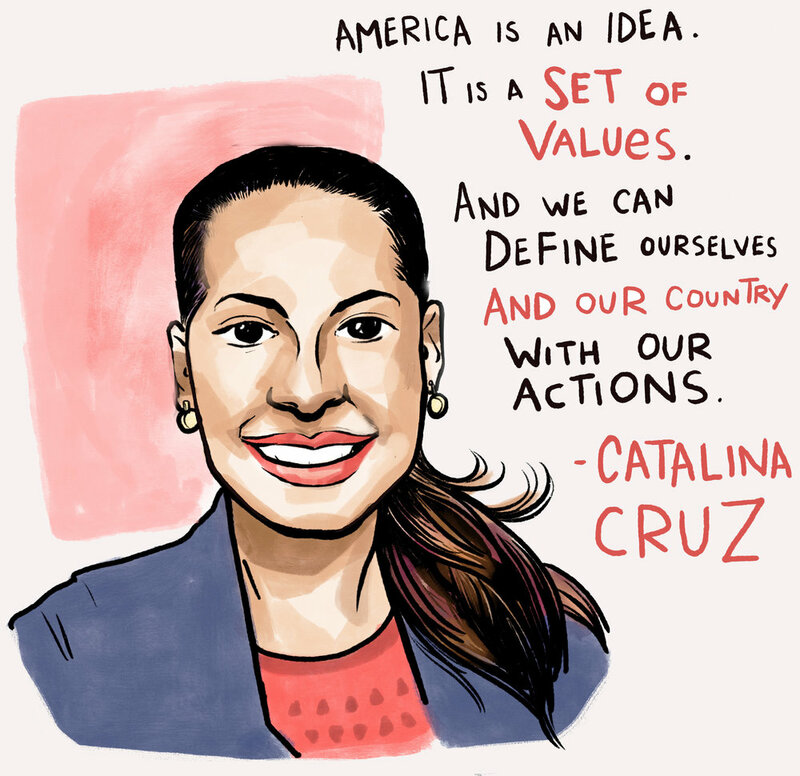 An experienced attorney and a leader for tenant protections, immigration reform, and workers rights, if elected, Catalina would become the first DREAMER to hold New York office. 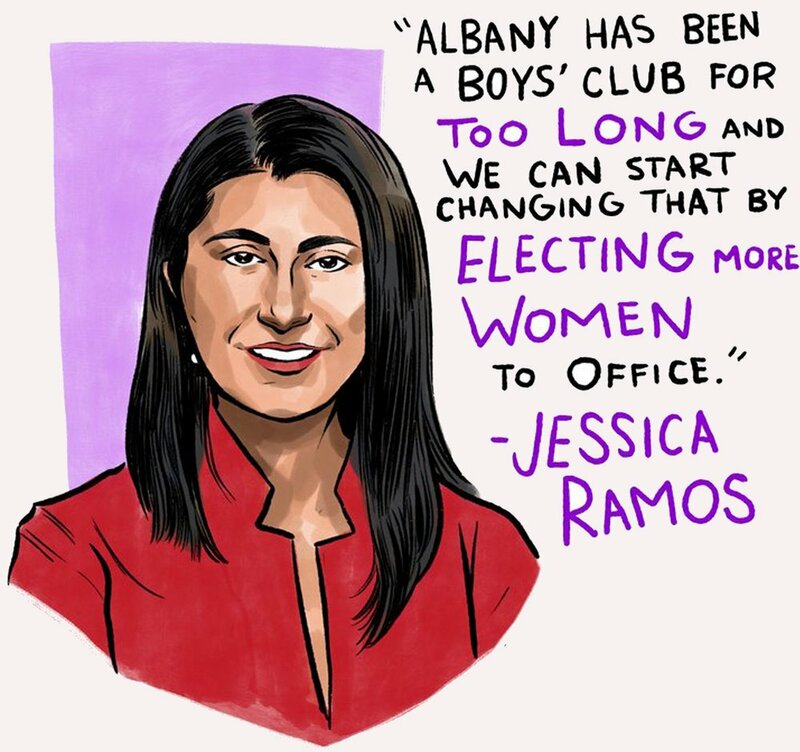 Jessica Ramos has spent her life fighting for working families, advocating for labor, and organizing her local community. Born in Elmhurst to an undocumented seamstress and a printing pressman, Jessica was raised in Astoria, attended Queens public schools, and now lives in Jackson Heights with her husband and two sons. Most recently, Jessica served as Director of Latino Media for the City of New York. As the city’s chief Latina spokesperson, Jessica helped keep our city’s 1.87 million Spanish-speaking residents, and the community and ethnic media at large, informed about government services and initiatives. As the first American-born in her family, Jessica feels a deep sense of responsibility in bridging the gap between immigrant and non-immigrant communities and has spent her career fighting for residents of her community. The daughter of an immigrant father, Julia was raised by a single mother, attended public schools, and began working at a local grocery store when she was 14 to help make ends meet. 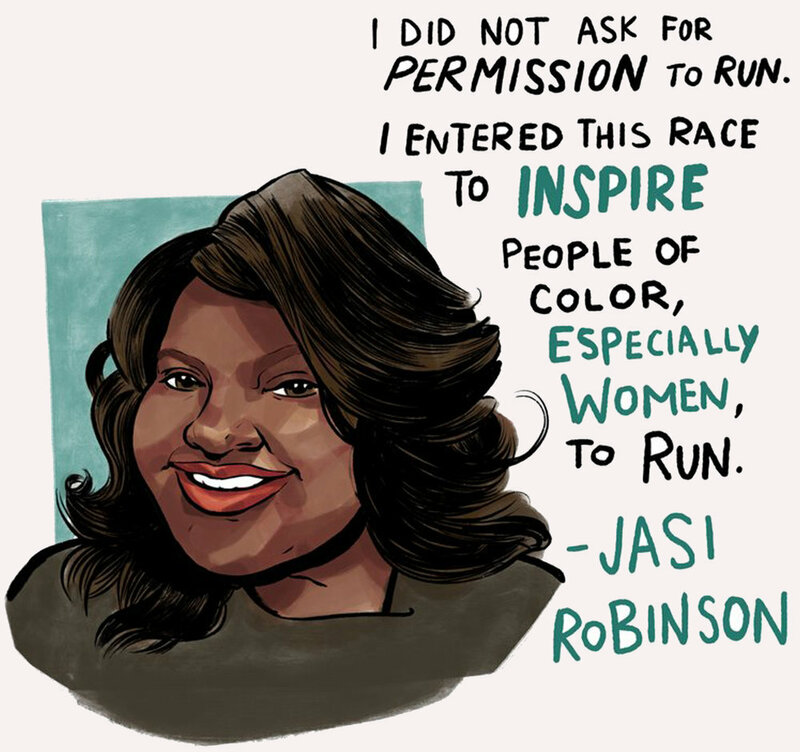 She supported herself through Columbia University as a nanny and is now a proud staff organizer for Jews for Racial and Economic Justice, a key partner in the Communities United for Police Reform coalition, and a leader in the Democratic Socialists of America. As a member of the Bushwick community, she has been a tireless advocate for her neighbors and fellow tenants. Julia is running for State Senate to bring the concerns of working people to the halls of Albany.